Glucosio is the ultimate portable diabetes test kit. Diabetes management is a confusing, tedious and manual process for patients, especially when they are newly diagnosed. 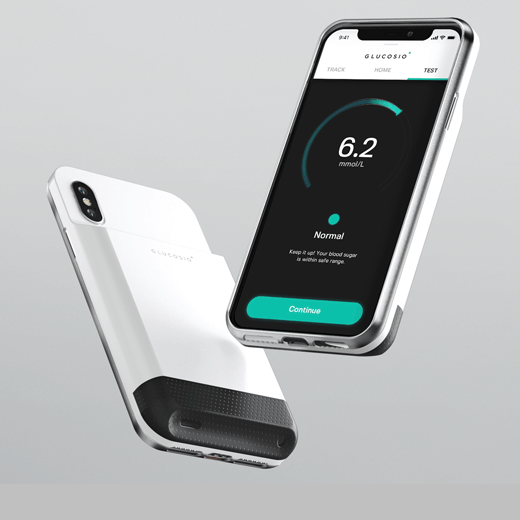 Glucosio a smartphone case integrated with a built-in glucose meter and lancet device. It pairs with the user's smartphone via Bluetooth to perform tasks such as tracking data and logging insulin injections throughout the day. Users can schedule a blood sugar test and receive push notifications on their lock screen to get reminders. Glucosio aims to free diabetics from the time-consuming procedures and stereotypes conventionally associated with diabetes.